When locals in western Colorado’s old uranium mining towns of Naturita and Nucla get word that a journalist is coming to town, they reach for their guns. Not to shoot the “fake news” media. No, they dust off their firearms as props for photo ops. Ever since Nucla passed a law in 2013 requiring every household to own a gun, the story has drawn the press like flies on fresh roadkill. This area was once a uranium mining and milling hub for the Atomic Energy Commission’s Manhattan Project, and later for nuclear power. As cheaper sources of the ore emerged, the industry tanked. There was a brief jolt of optimism in 2007, when Energy Fuels announced plans to build a new uranium mill in Paradox Valley, just down the road from Nucla and Naturita. Depressed uranium prices and opposition soon scuttled that project. Fortunately, a new story has come to town. It’s still badass, in keeping with our popular image. And that’s weed — cannabis, or more precisely, hemp. Thanks to new legislation and good growing conditions (lots of sun and water and dirt), the region has become a magnet for hemp farming. More recently processing has also begun, in a startup based in Nucla’s old elementary schoolhouse. The facility is run by Paradox Ventures, owned by Republican state Sen. Don Coram. Historically a conservative mining region, the West End has enthusiastically embraced a trade usually associated with illegal grows and “hippies.” Yet everyone here, from miners to cattle ranchers, seems to be trying to get a piece of the action, much the way Coram is. 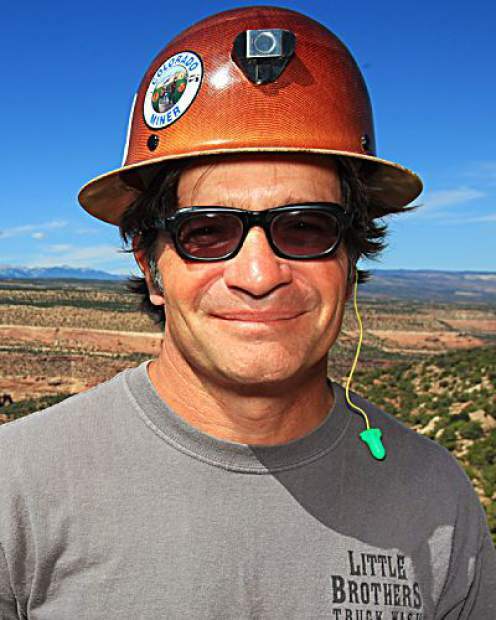 His partners, Reams Construction and its subsidiary Tomcat Mining, all sponsor the nonprofit West End Economic Development Corporation, which works to promote the hemp economy. This summer, Paradox Ventures planted a hemp field on some of Reams property next door to my house. A small team of farmers sprayed the crop by hand with natural pesticide, walking the crop rows wearing wide-brimmed hats in the sun. They looked like Vietnamese rice farmers. Richard Linnett is a contributor to Writers on the Range, the opinion service of High Country News (hcn.org). He is a writer who lives in Naturita and commutes to work in California.